Check out my database on Rootsweb.com – free! This is my WORKING database online at Rootsweb.com (no membership required). Although you can trust records in this database that are supported by good documentation, you should still check it yourself for accuracy. 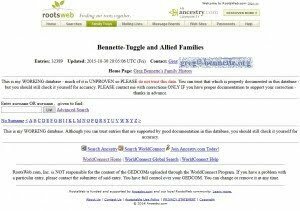 At Rootsweb.com you may download gedcoms of portions of this database (up to 10 generations in either direction) for use in your own genealogy application – for some ideas on which software to use, see my Resources page. 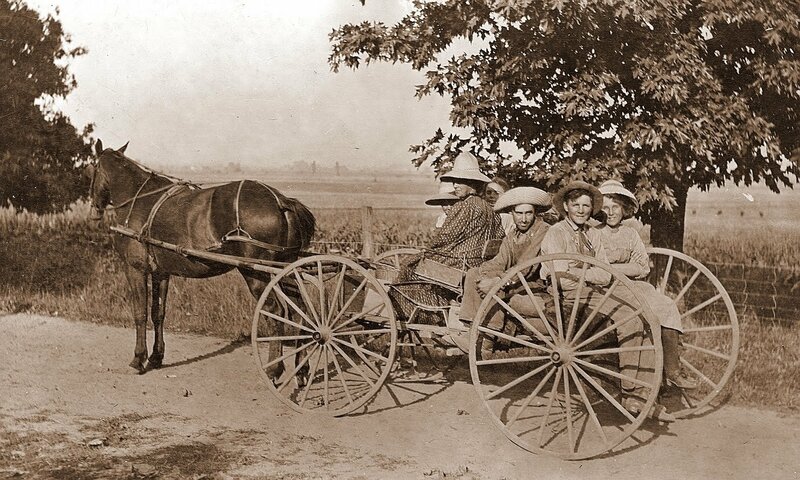 If you are an Ancestry member, you may find additional resources and links to documentation in my Ancestry database. Note: this database is not as current as my Rootsweb database. This is a list of all the surnames (last names) in my database. If you find more than a few of your ancestors’ surnames in this list, you may find it useful to locate your ancestors in my database at Rootsweb (easier to find). Note: DO NOT trust an online service with your working database. ALWAYS use your local hard drive to store your working database. Use cloud storage for backup purposes only. Greg's Family History is licensed under a Creative Commons Attribution-ShareAlike 4.0 International License.